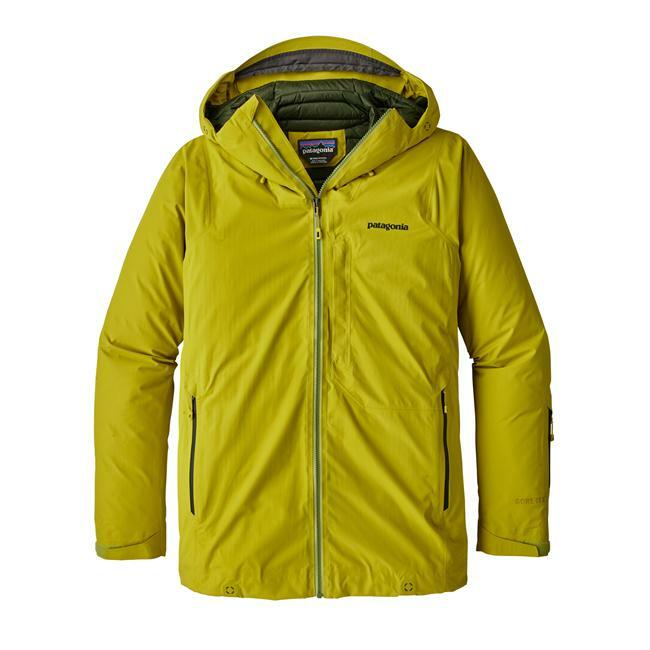 New technology used by Brooks-Range Mountaineering treats the down fill, which allows it to dry fast and retain its loft. 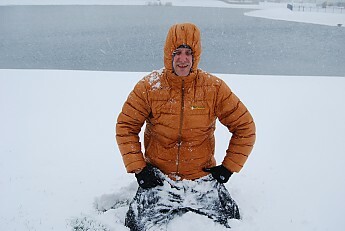 The Brooks-Range Mountaineering Mojave Down Jacket was a welcome addition to my gear closet because “It’s not always sunny and warm on your adventure.” It’s made of 800+ fill weight of DownTek, a proprietary down treatment. 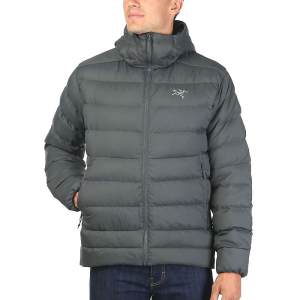 The nano technology helps make the down fill water repellant to keep you better insulated in case the jacket gets wet by either the elements, or your perspiration. 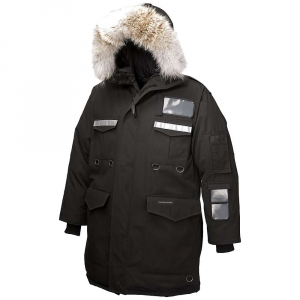 It’s also treated with anti-microbial, and anti-bacterial protection to help aid in long-term durability. 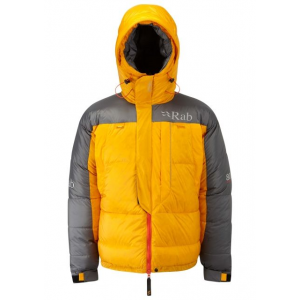 It has a fill-to-weight ratio of 56% which is impressive to other jackets of similar weight on the market. My jacket was a size large and weighed just over a pound. After receiving my jacket I gave it a thorough inspection. The construction was sound, the seams were well sewn, and the zippers and fasteners were in good order. The sizing was good, and it fit me as I would expect. Being labeled a jacket, the bottom sat just at my waist, and the sleeves were not too constricting or bulky. 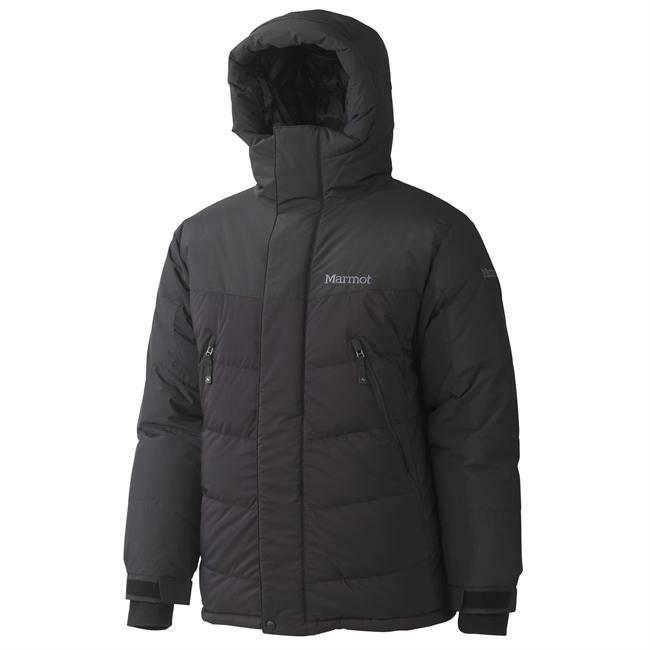 I appreciate the tighter fit for the layering of a shell or other jacket, and the insulating value that a down jacket provides. It truly does have “rise free” arm construction, low bulk cuffs that you can adjust, and a well fitting hood that doesn’t swallow your whole head, but lets you be able to see your peripherals. I found the Mojave Jacket to be very comfortable. 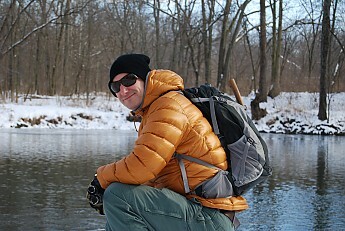 Over the past few months I’ve been able to test the Mojave Jacket in a wide range of climates. I live in Indiana, which can seem benign, but we Hoosiers do go through quite a wide range of temperatures and weather conditions. I’ve been Impressed. The insulating qualities, both wet and dry, are impressive. I took the plunge with the Mojave into the icy deep of a local pond and came out the other side warm enough to keep my wits and walk back to my house. The DownTek is supposed to dry the down fill five times faster than regular down, and keep its loft 300% better. Once I climbed out the the water, I wrung out the jacket, fluffed up the fill by snapping the jacket into the air, and sealed myself back into it, cinching down the hood and the waist. Within two minutes I could feel the warmth come back to airspace between myself and the jacket. I continued to try to warm myself by doing jumping jacks and running around while my family laughed at me, and the jacket started to take its original “puffy” shape back as I kept exercising. 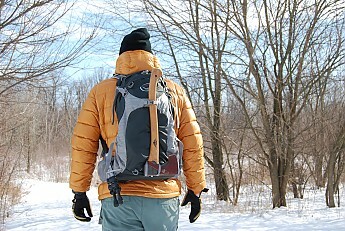 I feel that if I was hiking along one of the many creek trails that I frequent, I would be able to restore some heat to my core with the Mojave Jacket and get myself to safety. I’ve also been wearing the Mojave Jacket as a daily duty jacket for going to the grocery store, daughters' gymnastics, and whatever I have going on. Taking a 800+ fill jacket on a trip through the mall will cause some sweat and wetness. The anti-bacterial/microbial properties seem to be working well. There is no funk in my trunk.... or jacket. I don’t recommend using this jacket in mild weather or indoor conditions. It’s warm. 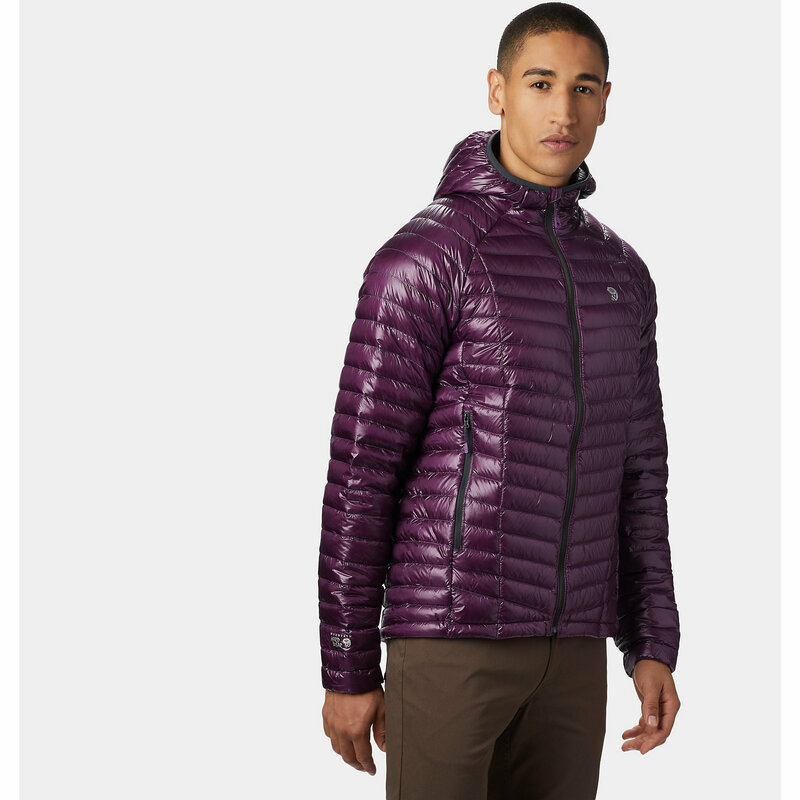 The Mojave Jacket by Brooks-Range Mountaineering is really, really warm. In fact, I haven’t found a temperature that the jacket couldn’t handle yet. I’ve had it out in temps below 10°F and have remained nice and toasty. The Pertex Quantum fabric is also very nice. I found it to be very wind resistant, and water repellant in its own right. 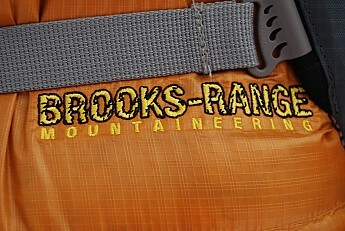 Nice job from Brooks-Range Mountaineering. This is a nice jacket. Extended periods of cold exposure, and differing climates haven’t dampened my impressions of this well made, nicely outfitted piece of clothing. There aren’t many manufacturers working with this new technology, but I look forward to when all down bags, jackets, hats, etc. can benefit from the DownTek treatments and technology. Holy cow, Arson! That's dedication taking it into an icy pond. Glad you stayed warm and safe. Well done Arson. Extremely thorough. Alicia, pleeeease dont send him any avalungs or ABS packs to review. Next Trail Space contest, you don't actually win any thing but you get to pick Arson's next item to review. All joking aside this is a very useful and well done review. Good point, MoZee, no avalanche gear for Arson. Part of me is impressed (now that's dedication!) and part of me wants to warn everyone else — "Do NOT try this at home." I bet Alicia never thought she'd have to put a disclaimer on a jacket review. Haha, nice review Arson. Taking it to a new level i see! 20 man points for Arson. The Brooks-Range Mojave Jacket is one impressive product. The Brooks-Range Mojave Jacket is one impressive product. Its combination of wet weather performance and unique features sets it apart from the competition. The Brooks-Range Mojave Jacket is one impressive product. Its combination of wet weather performance and unique features set it apart from the competition. The Mojave is more of an outer layer than mid, so keep that in mind when making your ultimate purchase. If you need something more sweater-like then you’ll need to look elsewhere. But if you’re looking for a jacket that can stand up to harsh conditions, then the Brooks-Range Mojave deserves serious consideration. We tested it two ways. In our lab test, we found no penetration of water into or through the jacket. In the real world rainstorm test, the Mojave got one heck of a drenching in a recent Northern California rainstorm, and didn’t miss a beat. The exterior durable water repellent and DownTek combination was nearly flawless. Although we had a little seepage at the seams after 10 minutes of exposure, nothing penetrated into the interior of the jacket and drying time was impressively quick. For more on the Mojave, you can visit my blog GearGuide. The Brooks-Range Mojave Jacket is not available from the stores we monitor. It was last seen March 29, 2019	at CampSaver.com.